Oddworld creator Lorne Lanning says Ken Kutaragi's developer unfriendly PS2 and 3 put half the community out of business. Former Sony Worldwide Studios President Ken Kutaragi is often considered a legend of the industry. The "Father of the PlayStation", when Kutaragi was nominated for a lifetime achievement award by the Academy of Interactive Arts and Sciences, only one "bold" voice strongly opposed his nomination - Oddworld creator Lorne Lanning. Lanning claims that rather than revolutionize the industry, Kutaragi's infamously developer-unfriendly PS2 and PS3 instead put half of the developer community out of business. "I was totally opposed to [the lifetime achievement award]!" Lanning said at a DICE summit keynote featuring himself and current Sony Worldwide Studios President, Shohei Yoshida. "He changed half of the industry, is what [Yoshida] said. I said he put half of the development community out of business!" Lanning lamented the financial challenges of making games for the PS2 and 3, particularly in convincing publishers and other funding sources that a game could be completed on time and on budget. "Now you find out, whoa, we have zero ability to predict [time and money costs]," Lanning said. "We have to discover, and we [couldn't get] financing to discover." In fact, according to Lanning, this extreme developer unfriendliness is what led a lot of the community to "jump ship" to the Xbox. "You opened doors for Microsoft!" Lanning said. "Their hook was, 'we'll build a machine for developers.' They have a brand challenge coming into the business [as a new games company], but they promised to make costs more predictable. We were trying to survive. Microsoft was a way of landing." Lanning boasted that Oddworld: Munch's Odyssee launched day-and-date with the original Xbox "on time and on budget" - a nigh-impossible feat for a PS2 title. 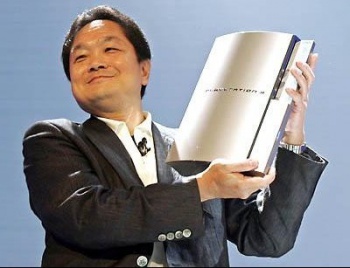 To be fair, Yoshida himself agreed with Lanning, stating that the developer-unfriendliness of the consoles was a mistake. He tried to explain that Kutaragi's confidence lay in his assumption that top dev teams would simply overcome the challenge presented by the hardware, and discover how to make great games regardless.